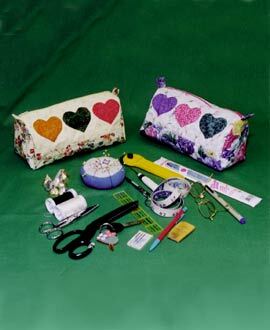 The Sew-er's Companion is great for storing all of your sewing tools and notions. You can take this bag to class or it can be used as a travel bag for your cosmetics or jewelry. Its size is 11 1/2" long, 4 1/2" tall, and 1 1/2" deep. Price includes shipping and handling.